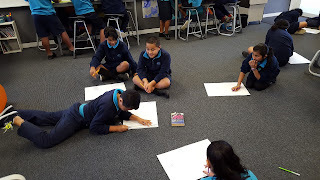 On the first day this term I issued Scott Class with a challenge - design our classroom in the best way for us to learn. 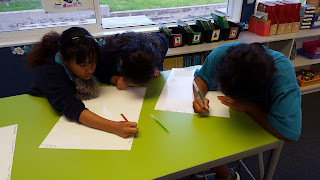 In pairs we created a plan for how we wanted to arrange our class. We then presented our ideas to the class and identified the best parts from each plan. 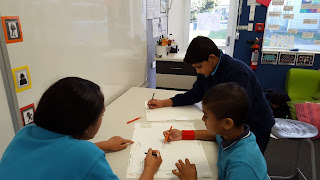 The best parts were then combined to make a plan for our class. We then rearranged just about all of the furniture in our class! We love our new layout! "Hmm, what should we put here?" Mrs Archer I really love the way how you labeled your photos so I know what is happening in the photo's. But there is nothing wrong with your blog post so there is nothing that you have to fix up.And I like the new classroom of your's. It's really nice of you to say that. Hi Tess Thank you for commenting on our blog. We worked so hard to change our classroom first we planed it on a paper then we decided where we will move it. Thank you very much Tess.You can have a look at my blog here is a link to my blog http://hpsmanahala.blogspot.co.nz/. Thank you for your blog comment we really appreciate it. I also like Extreme makeover's too, I haven't seen that TV program before what is it about? Have you ever done a Extreme Makeover before? I am looking forwards to checking out your learning on your blog! It also made me think of Extreme Makeover and I still wonder when they are going to put that TV program back on. I can't really find any spelling mistakes. Thank you for commenting on our class blog I really appreciate it. Hi there, my name is Lupe and I am a student in room 7 at Hay park School. I really like how you changed around your classroom. It made me think of the way at my old school how we made some big changes behind, but mostly everywhere. Have you thought about putting your high tables together? 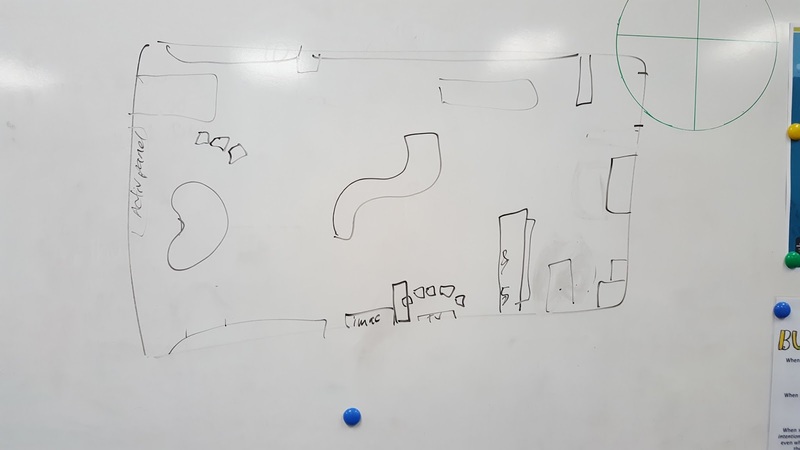 I like your new classroom layout. It look’s amazing. What I really found pretty cool was that you guys designed it yourself. This classroom looks way more fancier than my classroom. This reminds me of rearranging my bedroom but your classroom looks way better. Two questions I would like to ask is how many designs did you guys end up with and how long did the change take? I’m Niamh I live in Greymouth. I thought it was a great idea to work together to design your classroom in pairs: 1 because you are working together and gaining more friends: 2 because you are getting along with classmates and 3 you are showing that you can work with anyone that a teacher puts you with. I really enjoyed your photo and I think your class looks great. I like that you have two televisions and a 3D printer, your class is very lucky. Next time you could do “before and after” that would look cool and put more photos. My name is Madison and I live on the West Coast of New Zealand. I really liked how you worked together to make a different design for your classroom. 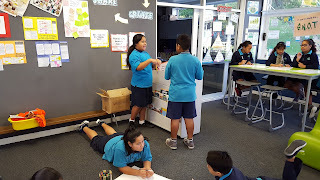 Did you work together with different people, to move the furniture and, how long did it take for yous to finish the whole process of redesigning your classroom? It was really nice seeing a photo of your finished product and, how much effort you guys would’ve put into it. I see that some of you might’ve worked in groups, this would’ve helped too with building up social skills, with people you might not work with very often. 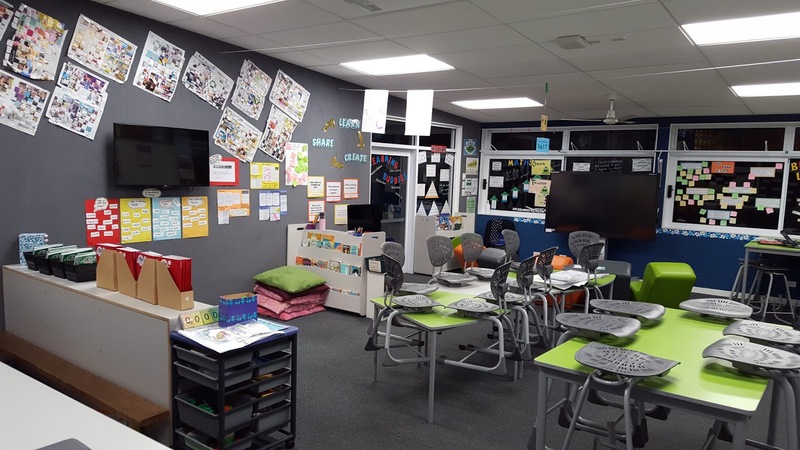 Is there a reason why you changed and redesigned your classroom? Did anybody in your classroom conjecture about their design, or was there a debate? It was really great to see that you added in photos that wasn’t your classroom. Maybe next time if you ever have the chance to you could add in a before and after photo, instead of a photo with the finished design. Apart from that it looks spectacular. Your classroom looks really great and I hope you enjoyed designing it. Maybe you could have a look on my blog and comment on one of my posts. My name is Lakshitha, I go to Karoro School. I think that designing your classroom sounds fun. Was it very confusing to choose what idea to keep and what not to keep? Are you going to keep your classroom that way for the rest of the year? In my class, our teacher swopes are desks around, so we sit with different people each term. Sometimes it’s good and sometimes it’s not. Maybe next time, you could include more pictures of the finished classroom. Any way I think it was a great Idea. I like how you have put the redesign the room into the class hands. With that they have more flexibility in the class. Instead of the teacher sitting there. One thing I was wondering if there were some kids that got let down. If one of their parts didn’t get put in the finished design? Greetings, I come in pieces. My name Fern the rad and I come from the room of Room One. My name is Matthew I go to Karoro School. I love your new classroom makeover, it really suits it! Are those two television looking things both televisions? I really love the way how you labeled your photos so people know what’s happening in them. There is nothing wrong with your room so there is nothing that you have to fix up. I am also wondering does your classroom use chromebooks? Your hockey court is really cool I play hockey as well! My name is Finn. I am from Karoro School and I live in Greymouth. I think that it is really cool that you got to give your class a makeover. You have used the space really well. By the way who is your class named after? And why do you have two televisions in your class? How long did it take to come up with the design? We only change our class sometimes. You should have a contest on who has the best design for the classroom. Who ever wins will get to rearrange the class according to their plan. I look forward to seeing more on your blog. I’m Mitchell and I attend Karoro School in Greymouth. First of all I Must say, I loved the layout of your blog I found It very easy to find things and move around, so I would like to thank you for giving me that pleasure. Now to the point, I really liked the new layout of your classroom and I think that I would find it easy to learn in that class too. One thing I would like to know is, did you have to spend any money on new furniture and learning resources? if you did, I think that It would be cool to drop in a photo of of your class before the makeover to give other viewers an idea of what an effort that you put in to get your class to how it is now. One last thing, I really liked how you have the live blog traffic extension on the side of your blog there, I think it is a cool little thing to have and I would like to learn how to do that myself. One of the things that I have been doing is working on geometrical transformations. Then we put it into artworks, the artworks were to also be related to another culture. They should be on my class blog soon. Be sure to come and check out me and my class blog to see some of our new learning. Hi my name is Reuben, I go to Karoro School down in the South Island on the West Coast in Greymouth, quite a long way down from where you guys are. I think that it was a really cool idea to redesign your classroom. It looks like you guys had a lot of fun making up the design and sticking them up to. I like the way your classroom looks just from the pictures. I reckon it looks amazing. What I really found pretty cool was that you guys designed it yourself. 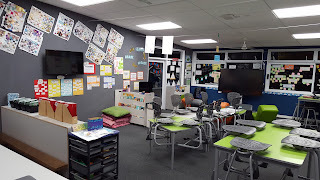 Your classroom looks really cool and I hope you had a lot of fun designing it to. Every now and again we do some artwork and take down our old art and stick up the new, but we don’t do a full makeover like that! Here in my class we’ve been learning from the strand geometry, symmetry and transformations. The transformation are reflection, rotation and translation. We have also been doing art that's symmetrical and has to include to or more of those other transformation. I have a few question for you. First is how long did it take to design and put it up? The second one is how many designs did you make and how did you know which one to choose? And thirdly why did you change your classroom? Was there a reason for changing it ? Can you please tell me?